Snailbird.com and the awesome crew over at Online Poster Printing are teaming up to do another amazing giveaway! I cannot express enough how much I love working with them. The final product is always 100% perfect. Plus, they’re not like the normal conservative printing company – they’re community oriented and driven, and respond fast to questions. Not to mention they’re an easy-going bunch and I just really love the community they’ve got going for their sponsorships. Anyway, enough public love, onto the giveaway! One awesomely big 18×24 Poster Print for one lucky winner! This can be printed on high gloss paper or semi gloss paper stock. The finished product will be rolled up and shipped to the winner in a protective poster tube. How cool is this prize? 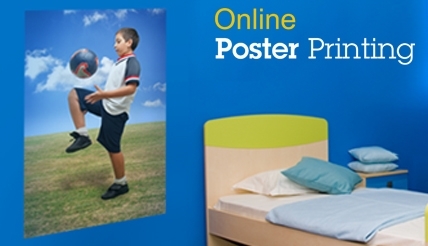 Check out what Online Poster Printing can do working with digital photo enlargements and digital photos on posters. 01. Sorry guys, this one is for US residents only. 02. Gotta comment on this post of course to enter the giveaway – tell me what you’ll want to use your poster for. Do you have an event coming up that you’d like to advertise? Have a picture you’ve taken that you want to blow up and give to your mom? I’m curious! While I can’t promise this will be done in time for Valentine’s Day, you could always use it as an Oops-I-Forgot-It-Was-Valentine’s-Day-So-Here’s-A-Big-Happy-Picture-Of-Us present a week or so later. The deadline to get your comment in and take part in the giveaway is February 12, 2010. At that point, I’ll choose the winner through the Random.org generator. Only those with answers to the above question will be put in the drawing so donâ€™t forget that part! One comment is allowed per person and donâ€™t forget to tell your friends to join. Donâ€™t forget to tweet about the giveaway to your friends! Come back on February 13, 2010 to find out who the winner is! Okay, so not only is today’s Artist Showcase a phenomenal artist, but she’s also one of my best friends and favorite people. I’ve known Meg for a little over eight years now and she’s stuck with me through thick and thin, regardless of all the hell I sometimes put my friends through (love!). And while dealing with me, she still has time to send into the world some truly amazing pieces of art. Meg resides in the beautiful realm of Missoula, Montana, where she dresses in fancy clothes, plays lots of MMORPGs, and lives with her extremely geeky, tousled-hair boyfriend (Hi Greg). I met her through her writing when we were in high school, but to me, it’s her art that really stands out. Her character “sketches” are amazing and really bring out the personality of each and every one of them. She has a talent for filling even the simplest postures with emotion. And she likes to draw geeky things like World of Warcraft characters and dressing her and her boyfriend up in Star Trek-esque outfits. This makes her full of win in my book. Go check out her art and her fashion blog (which she needs to revive! ), and tell her how wonderful she is. Because she is. And pretty, as always. Yep. Help Us Help the Kittens! So, I have a favor to ask of you: there’s this group on Facebook called Maddie’s Corner (also found on twitter @MaddiesCorner), founded by Kristin Chenoweth (Galinda of Wicked, in tons of movies, was on American Idol tonight for those of you who don’t know her). They’re a pretty amazing organization that celebrates animals and the people who love animals. Well they’re holding a contest right now. The person who sends the most fans their way wins $1000 for any non-profit animal organization they want. We want that to be us. Of course we want to try and get the money for the feral cat group that we volunteer for. It’s called Central Texas Feline Rescue and we’re a Trap-Neuter-Return group. We go out everyday, 365 days a year and feed the feral colonies that live in Austin and the Austin area. Almost every Tuesday we are out there trapping feral cats to have them spayed or neutered and given rabies shots before returning them to their colonies. We’re also an extremely small group, completely volunteer run. Most of everything we do comes out of our own pockets – our founder, Elizabeth spends the most to keep the group running. This year we TNR’d over 300 cats. Ash and I fostered a kitten we found on the streets and named her Mika. On Christmas Eve, she was adopted by some really wonderful people and they tell us she rules the household now. $1000 would go far for this group. But we need your help. Here’s what you can do. Go to the Maddie’s Corner fanpage on Facebook and fan the group, or you can start following them on their twitter. Then post a comment/reply and tell them that Ashley Niels of @RescueAnimals sent you (Ash is in charge of the twitter account so they know her name). Make sure you add the RescueAnimals part since that’s the common name we’ve been using (on twitter and facebook). The more people the better so feel free to share this note. Come on guys! With your help, we can win Central Texas Feline Rescue a much-needed $1000. They really deserve it. Thanks to everyone who helps us out! If you have any questions, please ask us and we’ll get back to you ASAP. It doesn’t feel like it’s been seven months since he’s been gone. Last night my dreams were full of our Brodybear. I’m working on an art/design trade with the talented artist Rachael Rossman; I’ll be working on a new design for her and she’s painting a picture of Brody for me. Ash found a ton of pictures of Brody that I had never seen before when we went on a hunt for references for Rachael, and last night I poured over the images and cried and it just hit me that he’s not here. I’ve never really let myself think about it. He was taken from us far too soon. We saved him from a kill shelter, only to let his one dangerous habit get the best of him. I don’t know why he hated cars so much or why he felt he needed to protect us from them, but in the end, he died because we weren’t fast enough and the road was too close to the house, and there was just too much bad timing on so many people’s parts. I don’t think any of us will forgive ourselves. Brody was the happiest dog you’d ever find. Always smiling, always playing; that dog laughed through life. 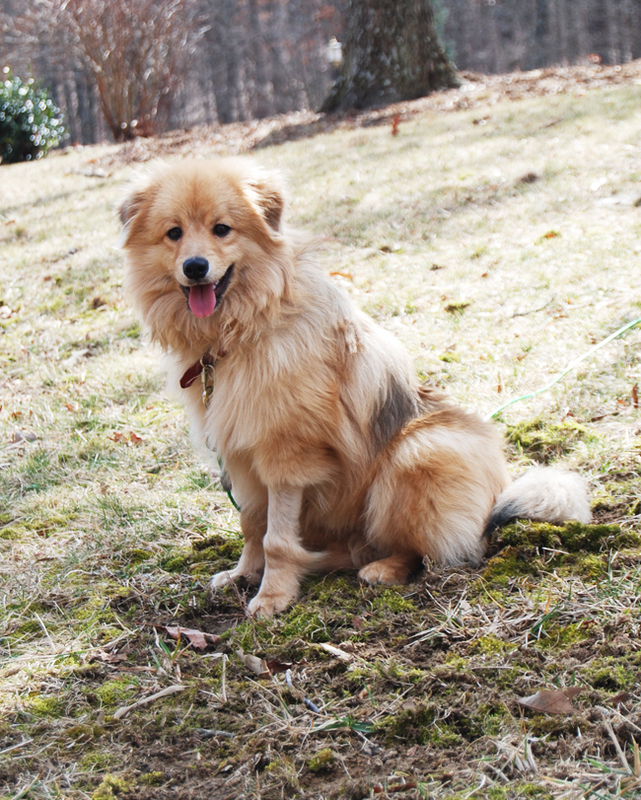 He was our golden Dalai-Lama dog, from the day we picked him up from the pound one year ago. Has it really been a year? On the fifteenth of January, 2009, he came into our lives, a furry little skittish pup. He quickly took all of our lives by storm. He loved everyone, he loved the dogs, he loved water, he loved camping, he loved the world, even the worst of it. I miss him so much sometimes it hurts, and I try not to let it show, but there are times I feel like my world is caving in. I know he’s with Brandy waiting for us, two golden angels on the other side of the bridge, waiting far more patiently than we ever will. Time heals, but sometimes it’s also a punch in the gut. Fandoms (if appropriate): For icons, it can be any fandom. Additional Info (optional): As with most others, I would prefer if you gave me the images to work with for the icons – they are yours, so wouldn’t you like to have the say in what they look like? Designs currently up in my Design Coyote shop can be viewed here. If you want a blogger design, make sure to choose one with that option, I won’t be modifying them for blogger for this bid (only to LJ). If you’re interested, please go here to comment and make a bid – bidding will end January 20th, so make sure to get in fast. All proceeds that I make will go to the charity of your choice, and (taking a leaf from Leigh), I’ll match the winning bid with my proceeds going to UNICEF. Let’s try and give a little back to the world, shall we? Let’s do it! My fine and fair Ladies and Gentlemen, I have been working endlessly (okay, not quite so endlessly since this week was mostly taken up with SLEEP and SICKNESS) to bring to the web a brand new web comic of unrivaled epic proportions. Day and night for the past months, this thing has been in my head. Ash and I have been working on it for well over year, and it is finally, FINALLY, up for the world to see. We have about 20-something comics already sketched out and ready to go, so it’s going to be updated every Monday from here on out. More pages/downloads/goodies will be added as we continue on this little adventure. 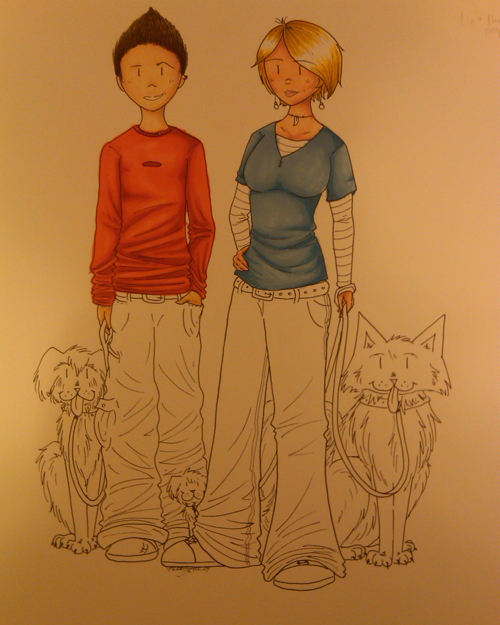 Eventually the comic will expand to events in our lives not related to animals, but for now, that’s the focus. And trust me, that gives us enough content for life. Check it out, give us a shout, and tell us what you think. And keep checking back for more comics and more updates. Welcome to The Family Menagerie! Here’s a preview of an illustration I’m working on for Ash for our upcoming comic. I’m tired and off to bed. Texas is cold. Apparently yesterday it was colder than Alaska. WTF world? That’s not what I signed up for when I moved here. First Artist Showcase of the New Year and the honor goes to the amazing Viet-My Bui! I have been an avid follower of hers on Deviantart for the past five years, and never once have I been let down by her brilliant work. Her pieces are simply stunning. Viet-My is Vietnamese by descent but was born and raised in Melbourne, Australia. She is currently going to school for Commerce/Law, but hopes to peruse her dreams of Art & Design once she graduates. I think she’s doing a fabulous job of it right now. From her DA info (because she says it best): “She is often found having lunch, but has stayed the same weight for the past six years. She understands this is probably a good thing, but fears that her body is a cholesterol time-bomb and that in twenty years’ time, she’ll inflate in her sleep and drown in 40 years’ worth of fatty deposits. ” She’s intelligent, artistic, beautiful, and funny. Viet-My’s pieces are just incredible. The attention to detail and the textures she uses in her artwork are beautiful. 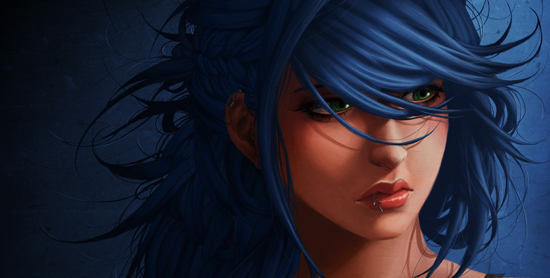 Her primary focus is beautiful women and I cannot even count how many times I’ve used her artwork for my desktop (I have a weakness for beautiful girls). The expressions used, the light in the eyes, and personality of each piece shines. Her style is one of a kind, and I was hard-pressed to choose just three pictures to put in this showcase. Pretty sure I have almost all of her artwork Favorited somewhere. Go check out her DA gallery for more impressive and inspirational works of art.